Senior Liaison Officer to the Governor Mr. David Archer, Jr., has been appointed Deputy Governor. His Excellency the Governor, Mr. Augustus Jaspert, has announced that Her Majesty has been pleased to signify through the Secretary of State for Foreign and Commonwealth Affairs, Mr. Archer’s appointment in accordance with section 36 (1) of the Virgin Islands Constitution Order, 2007. His appointment will take effect on March 1, 2018. Mr. Archer, Jr. will succeed Mrs. Rosalie Adams who served in the post of Deputy Governor, firstly in an acting capacity from August 8 to 31, 2016, followed by a substantive appointment from September 1, 2016 to February 28, 2018. Section 38 (1) of the Virgin Islands Constitution Order outlines the functions of the Deputy Governor which include assisting the Governor in the exercise of his or her functions relating to matters for which the Governor is responsible under section 60 of the Constitution. 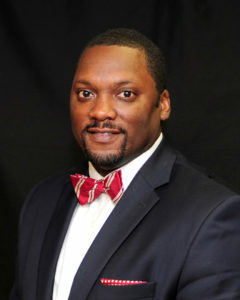 Mr. Archer, Jr. holds Bachelor of Science Degrees in Business Administration and Human Resources Management, Tennessee Wesleyan College, a Master’s Degree in Human Resources from the Robert J. Milano Graduate School, and a Masters of Business Administration from Capella University. He also completed certificate studies in Organisational Development at the Robert J. Milano Graduate School. Mr. Archer Jr., previously acted in the post of Deputy Governor from June 2 to July 31, 2016 and has over twenty years of Public Service experience with the Government of the Virgin Islands having joined the Service as a Professional Cadet in the Human Resources Department in 1997. He also held the posts of Senior Assistant Human Resources Manager, Human Resources Department from 1998 to 2001; Deputy Director, Human Resources Department from 2001 to 2003, Director, Human Resources Department from 2004 to 2010, and Permanent Secretary, Deputy Governor’s Office effective 2010. Mr. Archer, Jr. was awarded a University of the West Indies Graduate Scholarship and granted study leave to pursue Doctoral studies in Economics effective August, 2016. He returned to the Public Service on January 15, 2018 and was appointed as Senior Liaison to the Governor in the Governor’s Office. The primary role of the Deputy Governor, in support of the Governor, is to oversee the management and development of the Virgin Islands Public Service; to lead the Public Service to ensure the effective delivery of the Government’s programme, and to maintain the highest standards of service delivery and good governance.